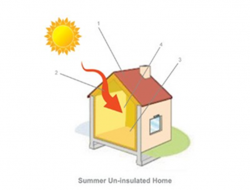 Glasswool Insulation is one of the few products whose primary purpose is to provide comfort and save energy. Its properties are used to “slow down” or “resist” the flow of energy such as heat providing a comfortable,healthy, safe and quite space for your family. 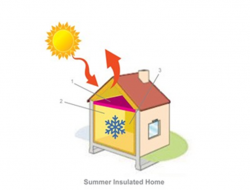 It provides a high resistance to the flow of heat through the building envelope of your home which limits the impact of the outside temperature variations helping to maintain a stable and comfortable living environment. 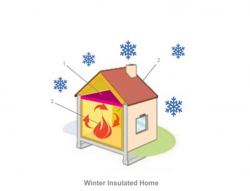 Insulation will protect your home against cold, heat and noise providing a comfortable, healthy, safe and quiet space for you and your family. 1. The ceiling is one of the largest areas in your home for heat gain. 2. Heat energy from the sun moves from a higher temperature to a lower temperature. 3. Cooling units have to work harder to lower the temperature. 4. This means there is an increase in electricity consumption and your electricity bill 1. Aerolite slows down the rate of heat exchange from the higher outside air temperature into your cooler house temperature. 2. Indoor climate remains comfortable. 3. Cooling units work optimally. 1. The ceiling is one of the largest areas in the home for heat loss. 2. 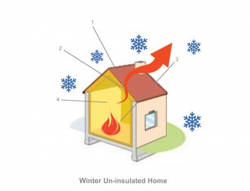 Heat energy from the heating system moves from a higher temperature to a lower one. 3. Heating system works harder in an attempt to keep the indoor climate comfortable. 4. This means there is an increase in electricity consumption or use of heating fuels. 1. Aerolite slows down the rate of heat exchange from the warm indoor environment to the colder external environment. 3. Heating systems work optimally. Glasswool insulation helps reduce noise transmission from the external environment into your home creating a more peaceful and comfortable interior. Glasswool insulation can also be used to control noise within the house by absorbing sound and reducing reverberation time allowing you to enjoy the full benefits of surround sound systems.